Qi Homes has been offering their clients a complete turn key solution from acquisition and renovation to leasing and property management for the past 12 years. Through their expertise in the industry and having a strong understanding of what tenants are looking for they are able to achieve rental returns of between 4 – 7% per annum. We like to keep things simple explains Anthony Hindmarsh founder of Qi-Homes, a boutique property agency who specializes in nicely renovated flats/unique flats for both sale and rent on Hong Kong Island. When renovating a home it’s important to keep things as generic as possible so that any prospective tenants will feel they can make it “their home”. In many cases keeping it light and airy with lots of storage is the solution. We find that too many “built in” pieces of furnishing is a problem, as it tends to be too personalized to one persons taste which may not be the case for another client. 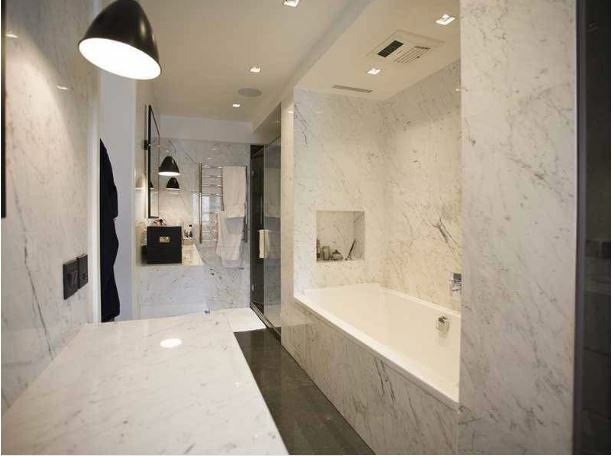 Kitchens and Bathrooms are extremely important to tenants no matter what the budget. We have seen a huge demand for kitchens with Ovens even when kitchens are small and the tenant may not cook all the time. Having one gives that extra added value which is more important than things such as Dishwashers explains Anthony. In a city like Hong Kong storage is always an issue says Hindmarsh. In many cases we use dead space for storage. We recently built a writing desk over the “bay” window of the flat that would typically be wasted space in the bedroom and likewise added seating space in the living room. 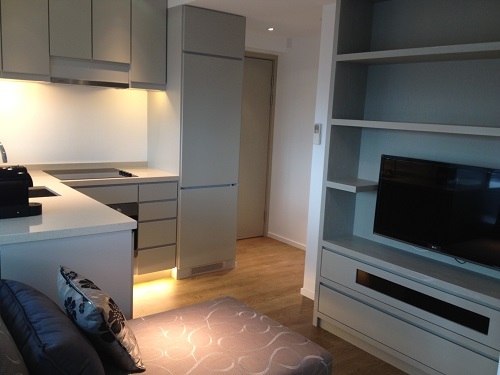 Well planned built in storage from floor to ceiling is also important in Hong Kong Flats. 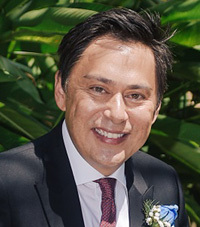 Our company works with our own contractors who we know and trust says Anthony, we involve our landlords as much or as little as they like in the design process but ultimately we hand hold the project from start to finish and have strong input as to what will achieve financial goals. The aim of any successful investment property is to have the flat rented as soon as possible for the highest price. Every day the flat sits empty means a loss of income for the landlord which is something we are very aware of explains Hindmarsh. Whilst an extensive renovation project is usually needed, sometimes a little “makeover” is all that is required to turn the flat around. We like to re-plan the space to maximize efficiency which sometimes means tearing down walls and building open kitchens. 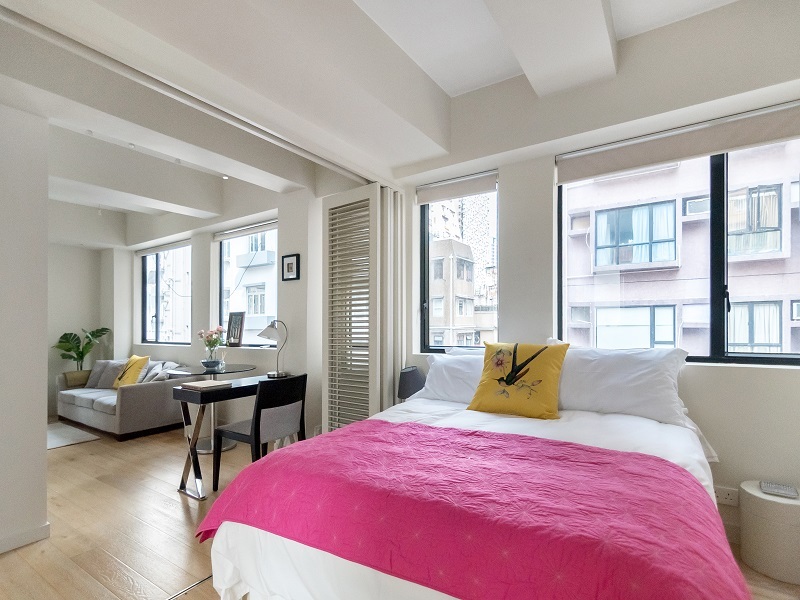 In a recent renovation project we completely flipped the living room and bedroom around as the original floor plan did not maximize the views and natural light says Anthony. 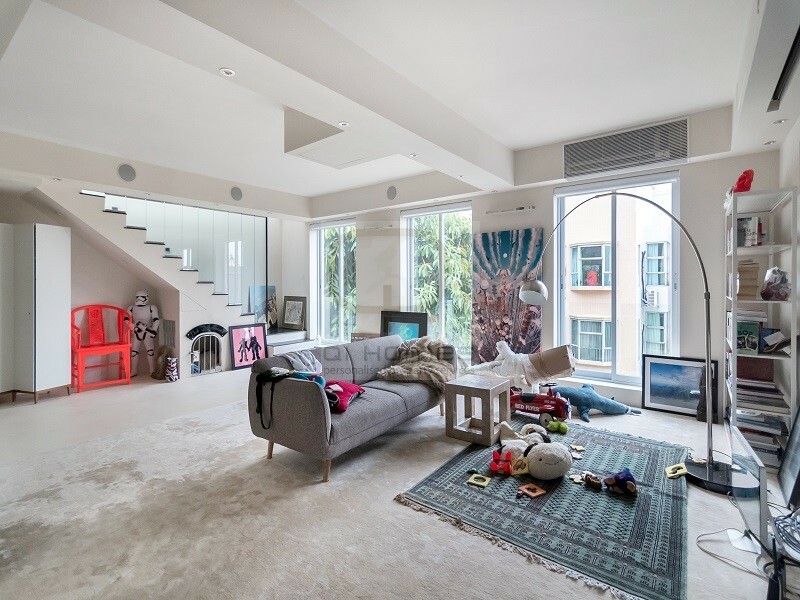 In many cases our clients cannot see the true potential of the flat when they purchase but we have a good understanding of which walls are structural and which can be removed and they are usually thrilled with the result as we have created a really unique space. 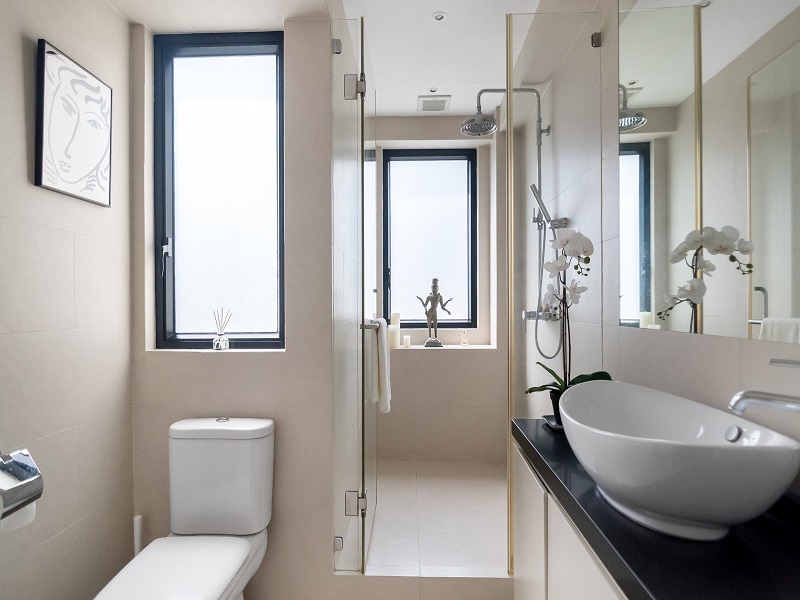 Qi Homes offers renovation projects to clients who purchase flats with them and offer interior design and project management fees at half the price of a normal interior designer. We treat our projects as a long term business, we don’t make money on the renovation project, but with a 100% repeat customer base the numbers speak for themselves. 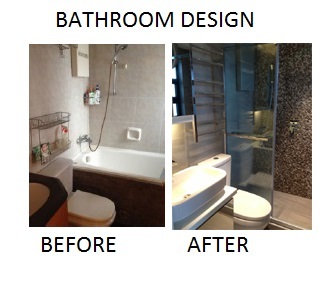 Please contact Anthony on +852 9105 1406 or via email at Anthony@qi-homes.com to learn more. This entry was posted in Design, Property News and tagged designer decorated, home renovation, qi-homes on February 26, 2015 by admin. Crown Terrace is a quiet residential street in Pok Fu Lam which is extremely popular for expats and locals due to its unique mix of low rise buildings. 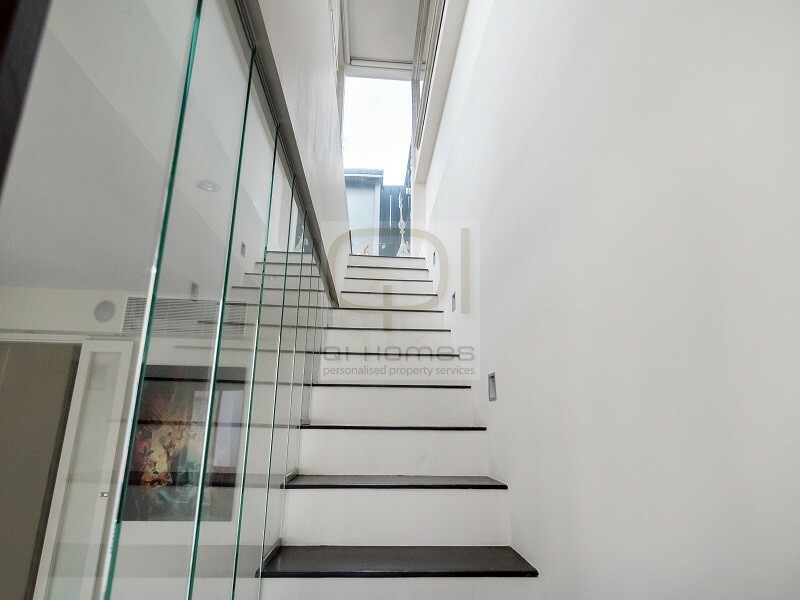 This stunning third floor home is located on the top floor of a low rise building with a private staircase leading from the flat to a private rooftop via an internal staircase. Crown Terrace is an area of Pok Fu Lam consists of older buildings many of which do not have elevators. 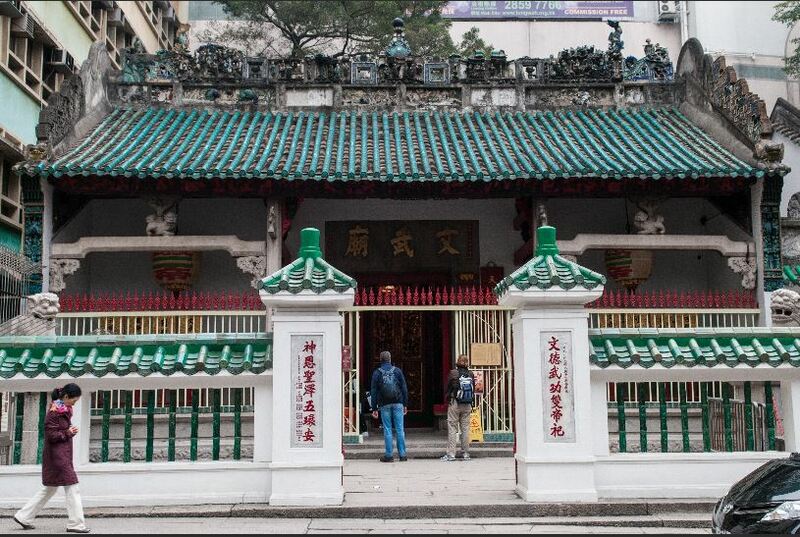 It is located on the western tip of Hong Kong Island between Kennedy Town to the East and Aberdeen to the West. There is a high speed road link to Central in 15 minutes. This area is also close to a nice waterfront coastline which is perfect for walks or hikes. The apartment itself is located on the 3rd Floor of a Colonial Walk-Up Building. The highlight of this apartment is the internal staircase that leads to a wonderful private rooftop which includes outdoor seating, dining, built in BBQ and a Jacuzzi. 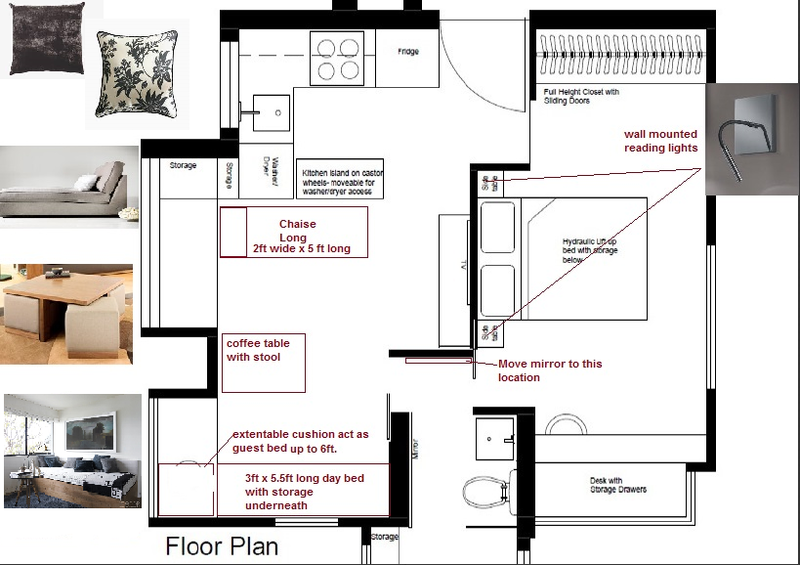 The internal layout has been renovated to a two bedroom layout with a large master bedroom with ample built-in storage and a hotel style bathroom. The kitchen is small but functional and incluses a seperate maid’s room. Available Immediately – Viewing by Appointment. 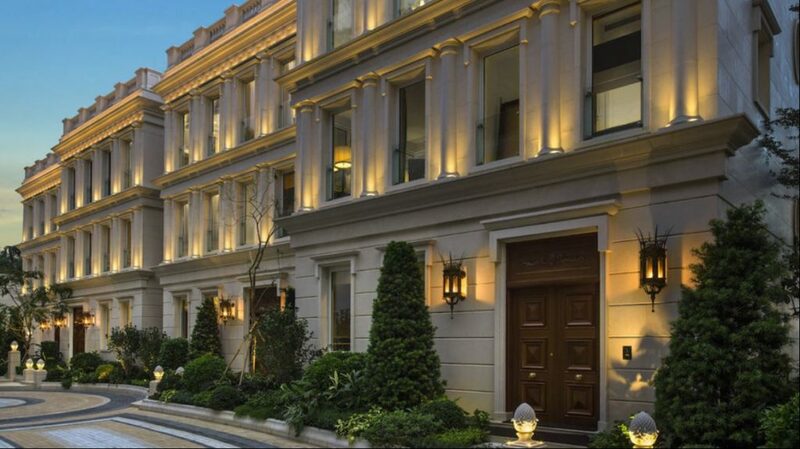 Luxury Homes in Hong Kong – Here is what HK$600M can get you. 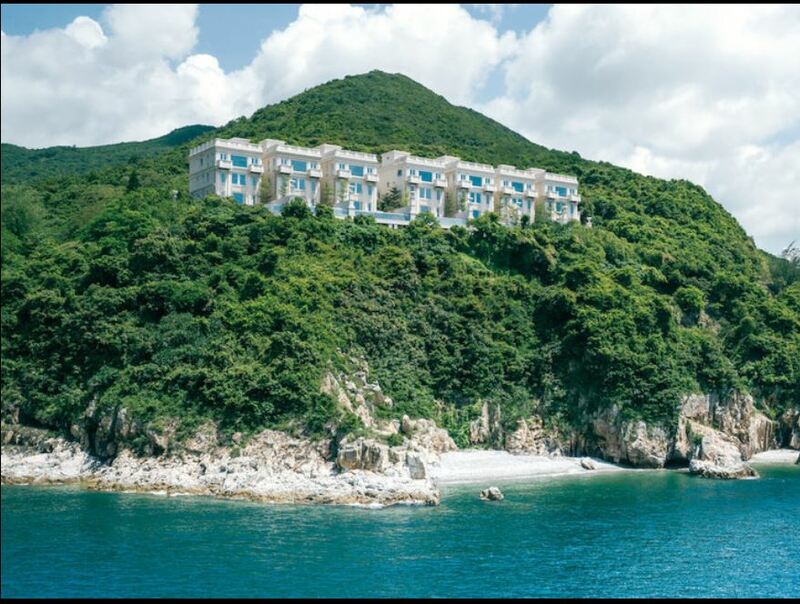 If you are looking to buy a Luxury Home in Hong Kong, here is what HK$600 Million can get you. 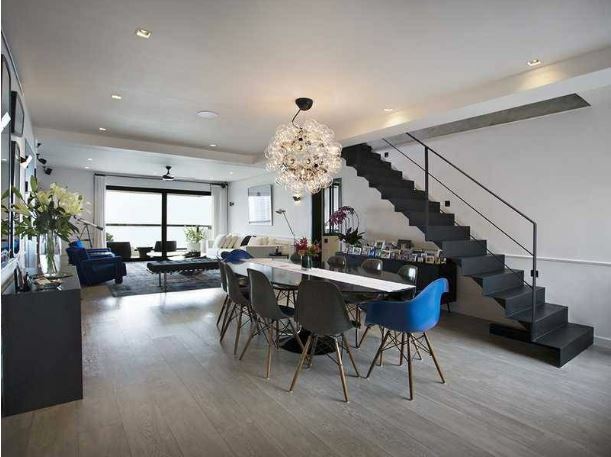 A Hong Kong Based Property Developer has recently completed Seven Ultra Luxury townhouses in Tai Tam. 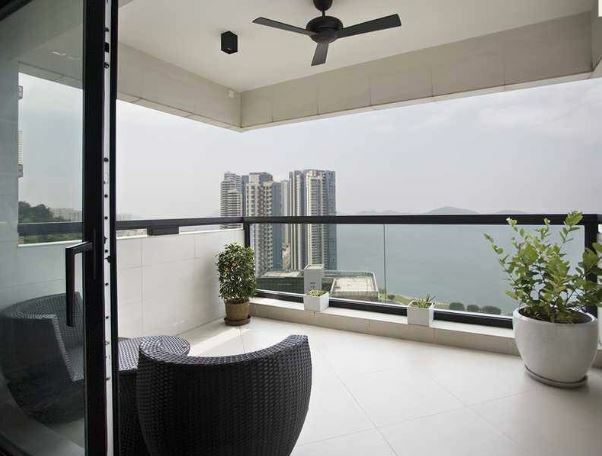 45 Tai Tam Road is a block of 7 detached houses located on a prime waterfront location. There are no adjoining buildings guaranteeing privacy. 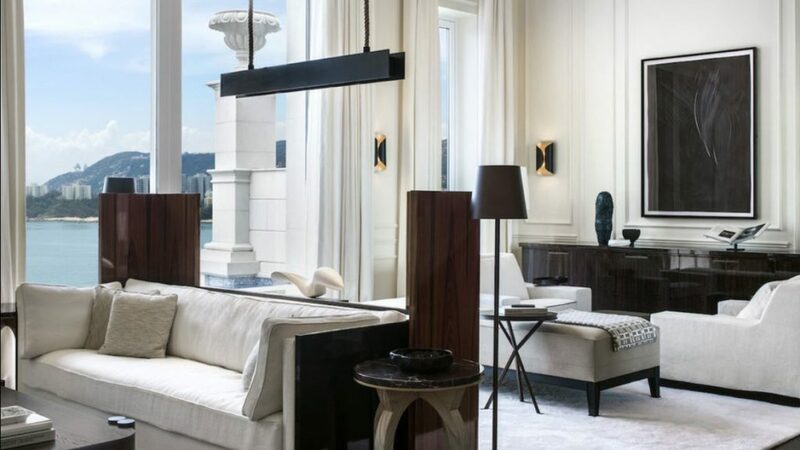 Five of the Seven Luxury Homes will be fully renovated and furnished by leading interior designers. 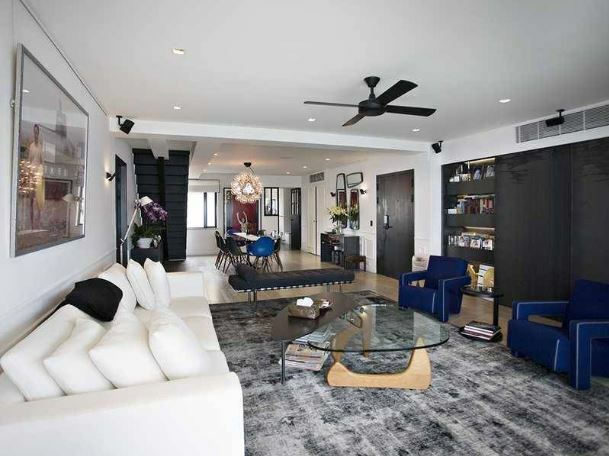 The Architect Firm Gilles & Boissier have designed two of the homes. Their projects include New York’s Baccarat Hotel and the Mandarin Oriental in Marrakech. The finished product and cool and modern with muted color tones and restrained finishes. For anyone who can afford the expected HK$600M (US$ 77 million) price tag and these create a turnkey investment opportunity. Each of the detached, three-story houses has approximately 4,750 square feet of interior living space and include five bedrooms, each with en-suite bathrooms. For More information about this exclusive property kindly contact me below. 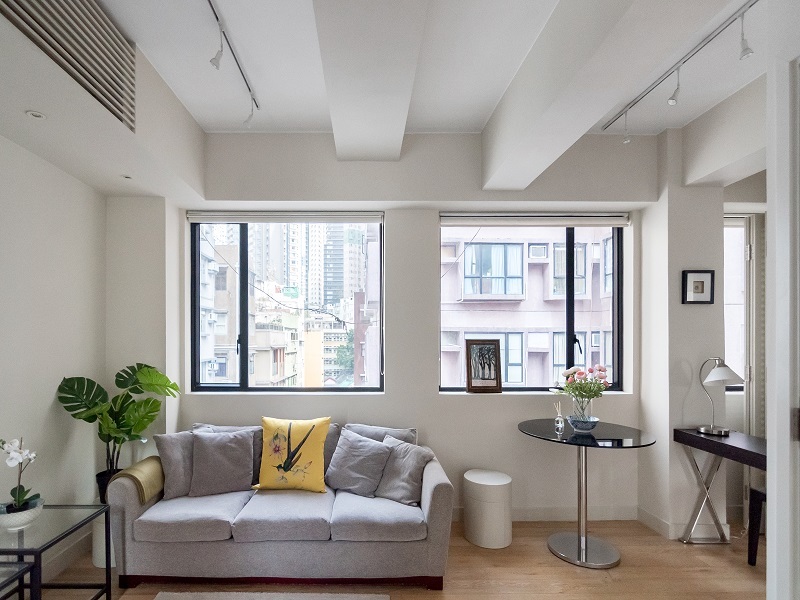 Investment Flat in Sheung Wan – Why this colonial walk up is a perfect choice. Square Street in Sheung Wan is a quiet small lane that connects Hollywood Road to Tai Ping Shan. Once a street well known for Coffin Makers today it’s a trendy residential area that offers a great mix of lifestyle options. The apartment itself is a combination of two separate flats that has been converted into one that occupies the entire Third Floor that is accessible via a staircase. Once inside you will notice the high ceilings and large windows stretching from the bedroom to the living room. Just off from the living room is a kitchen with ample counter space and built-in appliances. The cabinetry is finished in matt white and offers able storage throughout. The spacious bedroom is separated from the living room through a folding louver door which keeps the space open and airy. A large built-in cupboard occupies the entire back wall of the bedroom and a sperate wall to ceiling storage cabinet is located next to a writing desk. 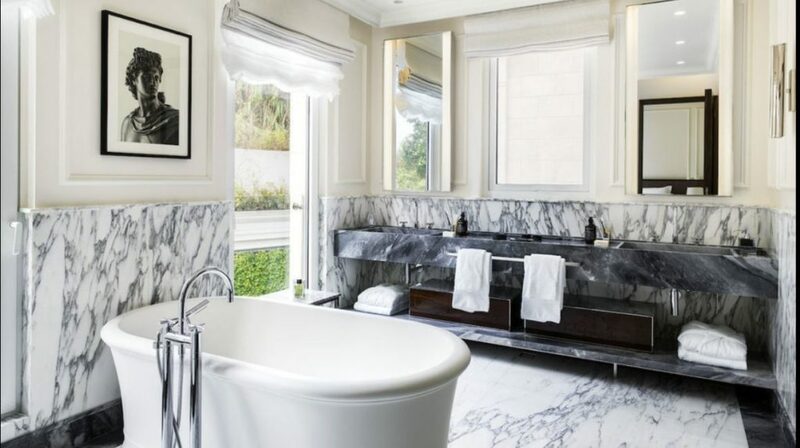 The modern bathroom has been finished in muted tones of sandstone with built -n storage and a large shower, There are windows providing natural light throughout. Combined Two Units occupying one whole floor. Large Kitchen with Modern Cabinetry and Built-in Appliances. Top 5 Reasons to Live in Sheung Wan – The Complete Guide. Sai Ying Pun is built on the steeply sloping lower slopes of Victoria Peak and also west of the Central Business District. It stretches from Connaught Road West to the North to Bonham Road to the South and from Eastern Street to the East to Pok Fu Lam Road to the West. Sai Ying Pun is a popular residential area on Hong Kong Island consiting of mainly older low rise buildings and modern high rises. 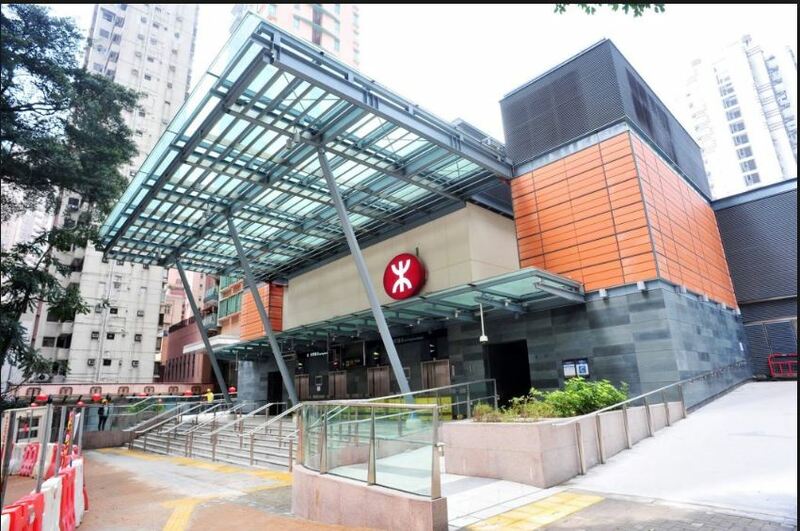 The area has seen a massive urban development over the past 10-15 years with the culmination of the opening of the MTR Station in 2017. 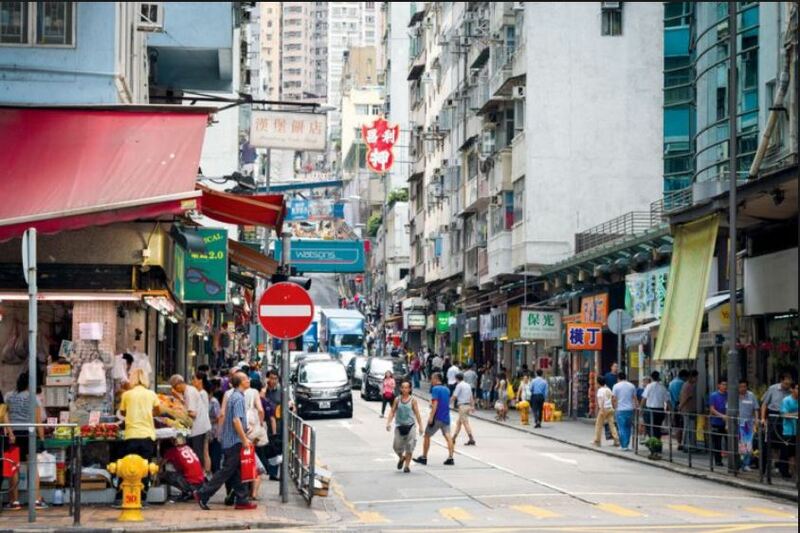 The main arteries that make up the core of Sai Ying Pun are First, Second, Third and High Street. Over the past 10 years many of the car repair shops and local shops have made way to trendy restaurants and cafe’s. Most cuisines are represented from French to Indian. 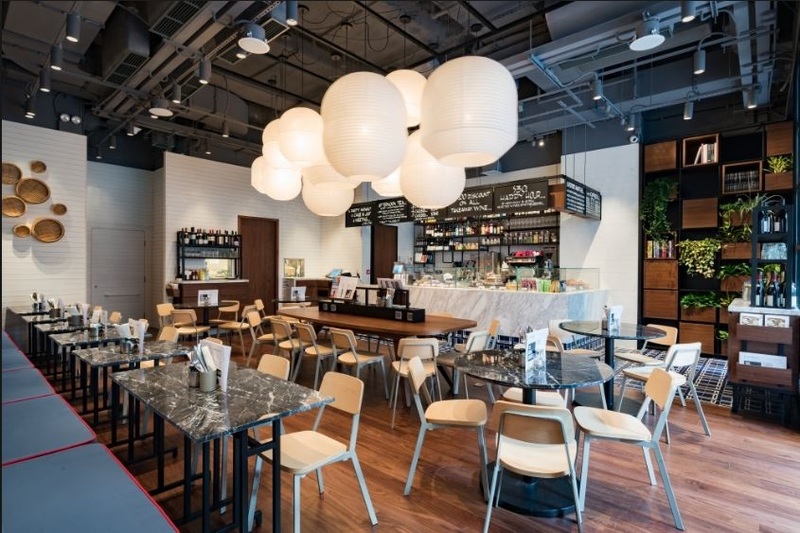 Despite offering an international array of restaurant choices Sai Ying Pun retains much of its local flavour with local Chinese markets and Butchers along side gourmet food purveyors. There are many choices for housing from older 70’s buildings to ultra-modern apartments many with extensive facilities such as swimming pool, gym, and outdoor play areas . 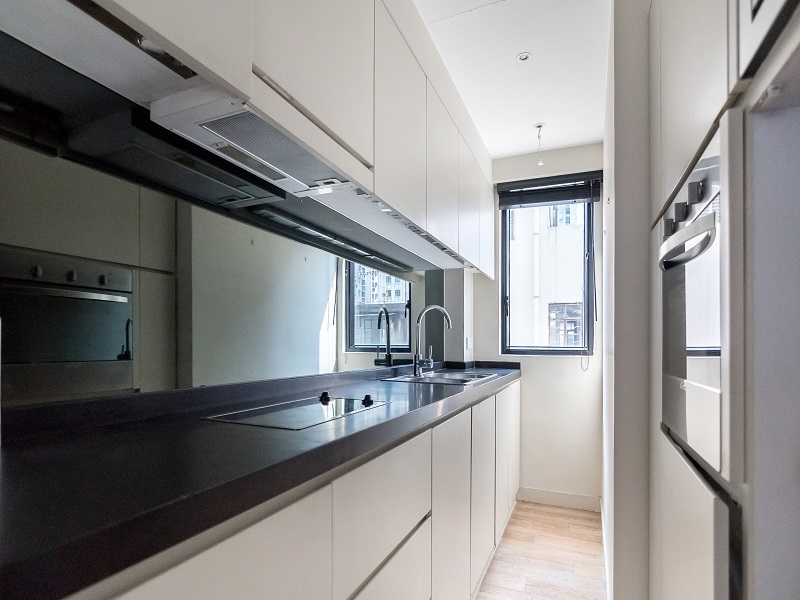 The average size of apartments in Sai Ying Pun range from 500-1000 sq ft.
Sai Ying Pun station, which is one of the MTR stations and part of Hong Kong Island line, started servicing the area on 29 March 2015. Trams run along Des Voeux Road West, taking passengers to the east or west of Hong Kong Island. Many bus routes run along Des Voeux Road and Queens Road West, with some routes routed through the lower parts of Water Street and Pok Fu Lam Road. Most streets are too steep or narrow for buses, however green minibuses and some red minibus routes travel through the upper streets. Taxis frequent First, Second and Third Streets. A series of escalators can take pedestrians up Centre Street, from First Street to Bonham Road via the Sai Ying Pun Market. There are also multiple public transport options from Large Double Decker Buses to Public Light Buses. 5. 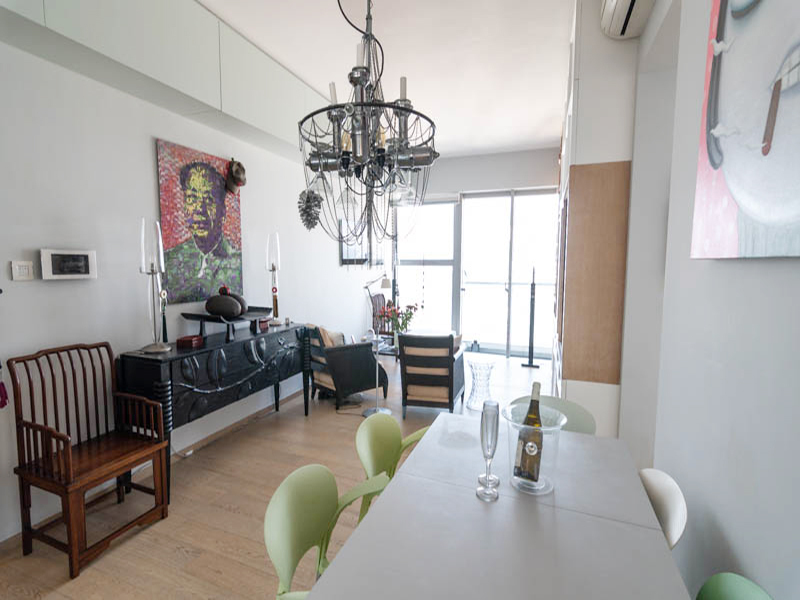 Examples of some listings In Sai Ying Pun. 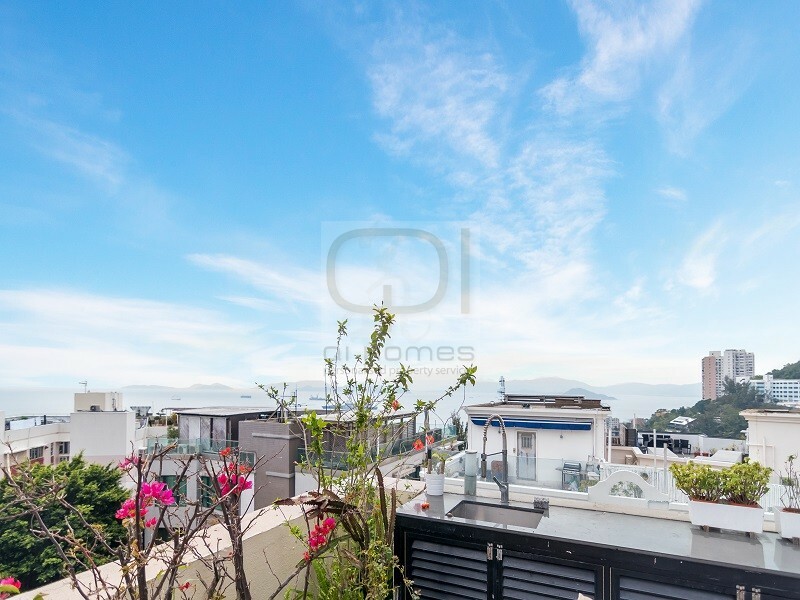 Today we feature a stunning Top Floor Duplex Apartment in Baguio Villa Pok Fu Lam. Pok Fu Lam is a residential area on the western tip of the of Hong Kong. It is notable for its quiet, green living environment. 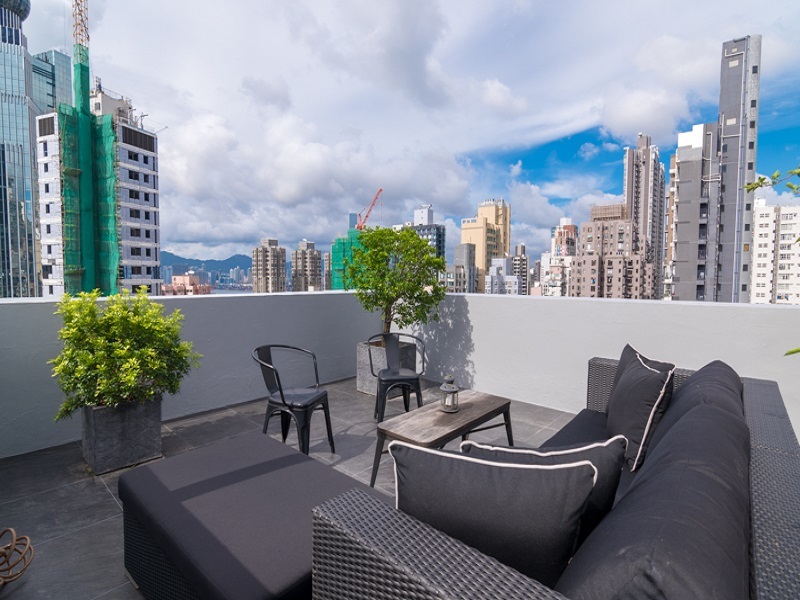 It is a popular choice for expats due to the proximity to excellent schools, and the University of Hong Kong as well as the Quick Commute to Central. Pok Fu Lam has lots of residential options from large scale complexes to small colonial walk up low rises. 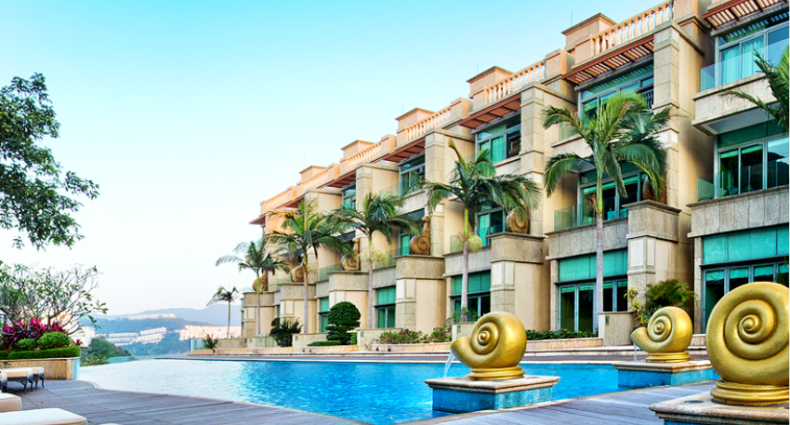 Baguio Villa is located in Pok Fu Lam and is a luxury residential complex comprising of a total of 33 Blocks. 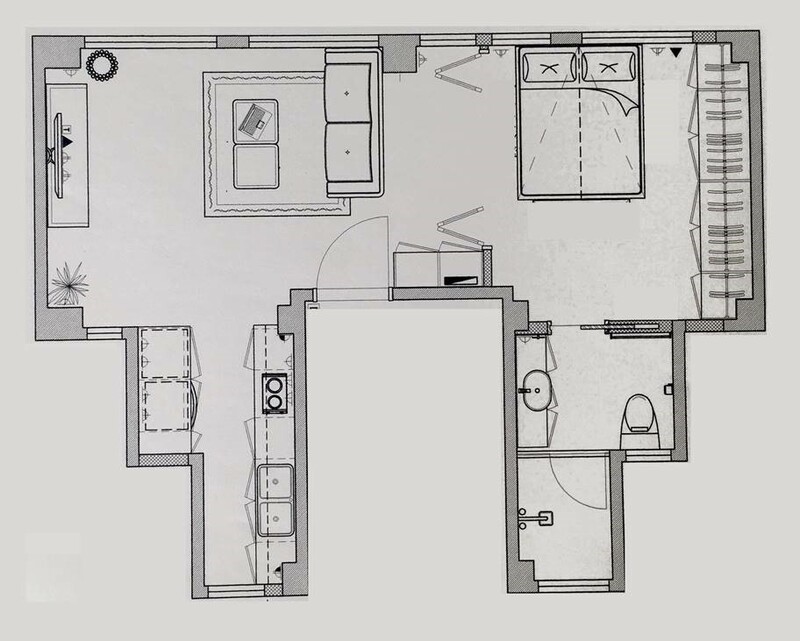 The apartments size ranges from 1,100 square feet (100 m2) to 2,700 square feet (250 m2). 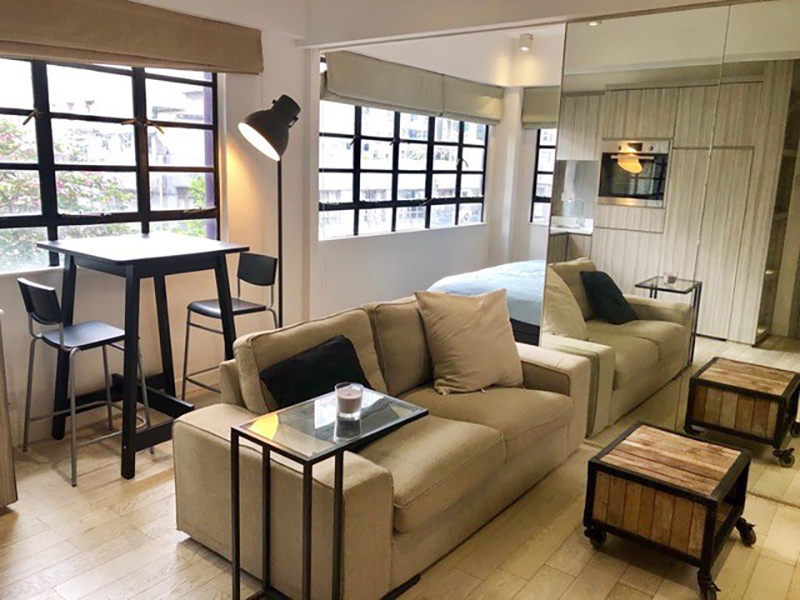 This Penthouse in Baguio Villa has been completely renovated and comprises of 4 good sized bedrooms spread over 2489 sq ft of internal space and 2500 sq ft of outside space. 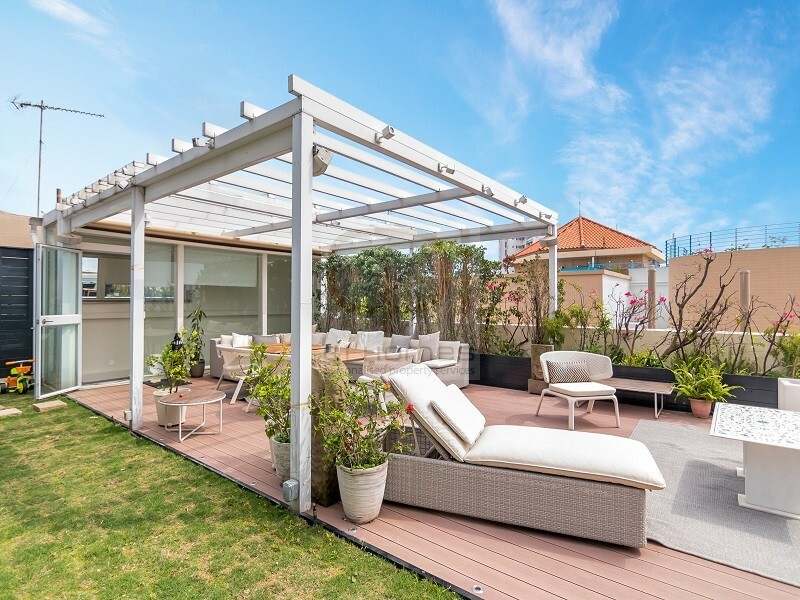 The private roof terrace is accessible by an internal staircase and features separate eating, sitting and lounging areas and is perfect for entertaining. 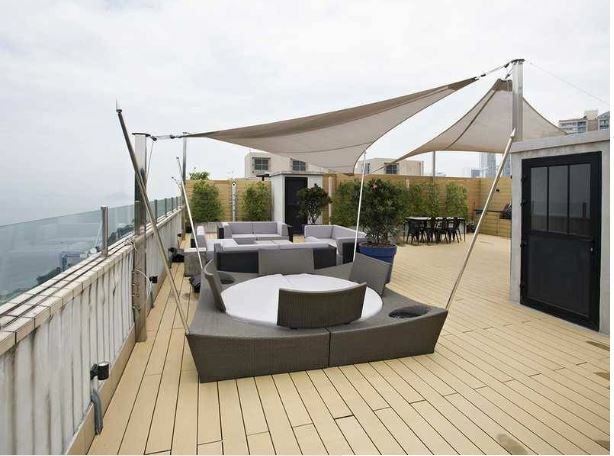 There is also a large balcony with sea views and just off the modern and well-appointed living room. The modern kitchen has high-end appliances and a separate eat-in area. 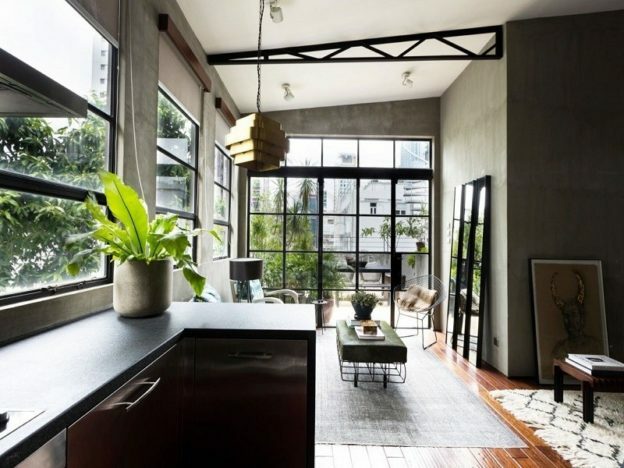 There are large windows offering lots of natural night. Baguio Villa Pok Fu Lam offers many outdoor facilities that is perfect for the whole family. There is a large communal pool, tennis courts and multiple play areas for children. There is also a good sized supermarket in the complex. # 8 Baguio Villa to Central only. Self Contained and Convinient with Supermarkets and Easy Transport links.